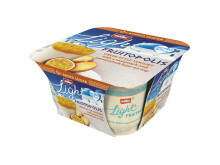 Britain’s biggest selling yogurt range* which includes category favourites Müller Corner and Müllerlight*, has achieved a 13.5% reduction in total sugar*, equalling 1759 tonnes, since 2015, according to new data published by the company. 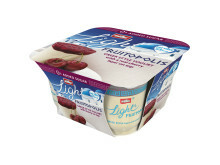 The reduction across Müller’s yogurt portfolio is substantially ahead of Public Health England’s voluntary guidelines which sought a 5% lowering of total sugar by August 2017*. 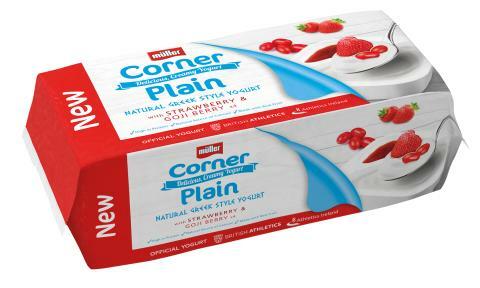 Having already reformulated the iconic Müller Corner Strawberry flavour so that it now has 19% less total sugar, the business has announced the launch of its first ever Müller Corner that is made with unsweetened natural Greek Style yogurt. 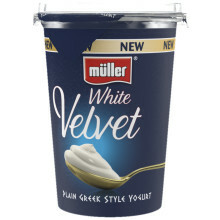 The Müller Corner Plain range replaces the Müller Greek Corner range and contains, on average, 27% less total sugar*. 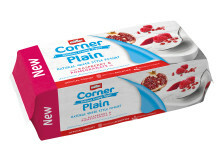 Available in three flavours: Strawberry and Goji Berry, Blueberry and Elderberry and Raspberry and Pomegranate, the new Müller Corner Plain, which is high in protein, is available in Asda now, and other retailers throughout March, April and May. 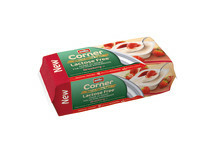 Müller Corner Plain will be available in single format (RRP 75p) or four-packs (RRP £2.89), and the launch is being supported by a new TV campaign, which features Nicole Scherzinger, and in-store and PR activity. With innovations such as Müllerlight Fruitopolis with 0% added sugar and Müllerlight Greek Style with 0% added sugar*, Müller has introduced a range of new products with lower and no added sugar, and is offering more pot sizes including Müllerlight Greek Style ‘Big Pots’ which gives people the option to share or choose their own portion size. 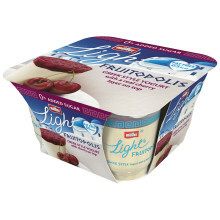 “We create products that are inspired by dairy goodness and motivated by taste. 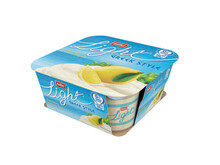 Through reformulation, new portion sizes and new products, all made possible by unprecedented investment in our capabilities, our products continue to offer moments of pleasure and no compromise on taste. 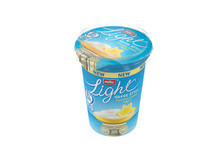 “Müller Corner is a great example. 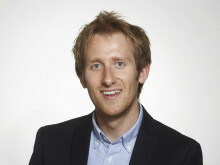 It’s strongly associated with ‘together time’ and consumers place a high premium on these moments*. 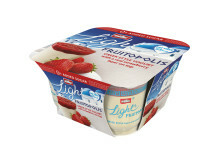 That’s why Müller Corner remains a category and UK consumer favourite, accounting for four of the top five performing yogurt SKUs*. It also punches above its weight for the category in terms of its value contribution vs distribution*, and we are delighted to bring new excitement with Müller Corner Plain.